At Auto Credit Express we believe it's important that people with bad credit choose a reliable vehicle to finance. With that in mind we've taken the latest choices from Consumer Reports to come up with a list of used cars that not only exhibit solid reliability, but are affordable as well. 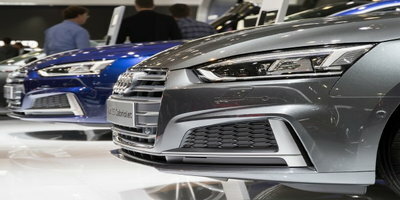 And because the average new car "loses up to 47 percent of its value in the first three years" according to Consumer Reports, the most affordable cars for people with bad credit are likely to be used cars. Back in February, Consumer Reports (CR) published their latest findings that included both the "best used cars" as well as the "worst used cars" in terms of reliability. Sorting through the results, we eliminated those vehicles too old (generally 2006 and older) and came up with what is, in our opinion, the most affordable used cars for car buyers with credit issues. According to CR, "With its 44 mpg overall, the Prius is the most efficient non-plug-in five-passenger car you can buy, plus it has plenty of room and a nice ride. Reliability has been first-rate. The Vibe and Matrix twins are quite versatile. For the Prius, Matrix, and Vibe, look for one with the optional ESC." Consumer Reports states that "The economical, efficient, and comfortable Sonata has a nice ride, secure handling, and a peppy four-cylinder engine that returned 23 mpg overall." 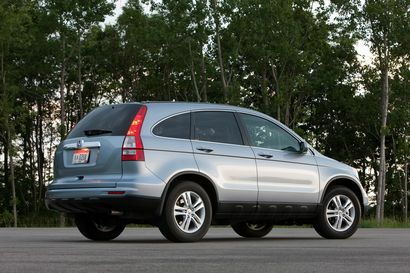 Consumer Reports remarks that "The Fit's forte is its amazing cargo-carrying versatility. Yet it's also fun to drive, with great fuel economy and excellent reliability. For a little more passenger room and almost every creature comfort, check out the Kia Soul." Consumer Reports felt that "The Mazda3 has precise and responsive handling, refined engines, and a comfortable ride, although it can be loud on the highway. The Skyactiv 2.0-liter engine, which arrived for 2012, provides an impressive 32 mpg overall." Consumer Reports believes that "The RAV4 has an optional but snug third-row seat, and both the four- and six-cylinder engines get impressive fuel economy. For a more refined alternative to the Toyota, the CR-V has a strong four-cylinder and a nicer interior." Since poor reliability usually means more expenses for owners, we suggest that borrowers, especially those with poor credit on tight budgets, might be better off choosing a different model. To quote Consumer Reports, "These models, listed alphabetically, are the worst of the worst. They have multiple years of much-worse-than-average overall reliability, based on 2004 through 2013 models, according to our Annual Auto Survey. Each one has at least three model years of reliability data." The vehicles on this list include that problem credit buyers might see include the Chevrolet Cruze (1.8), Chevrolet Uplander, Chrysler PT Cruiser (nonturbo), Dodge Caravan, Ford Fiesta, Saturn Relay and Volkswagen Beetle and New Beetle. 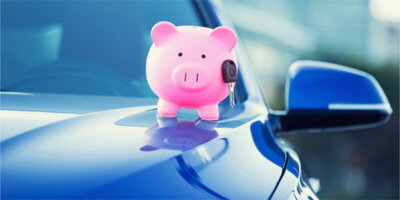 Credit-challenged borrowers should stay away from used cars with poor reliablity, as the odds of paying for costly repairs on top of the monthly car payment increase for these vehicles. One more tip: Auto Credit Express matches consumers with damaged car credit to dealers that can offer them their best opportunities for approved car loans. So if you're ready to reestablish your credit, you can begin now by filling out our online car loan application.